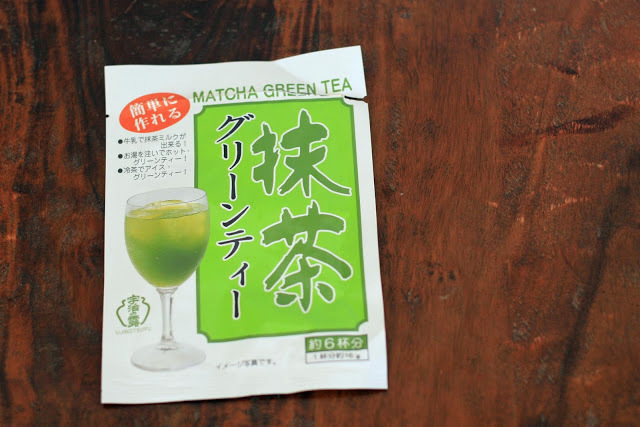 So it might be a stretch to call this matcha green tea latte a Korean beverage but several Korean cookbooks for Western audiences included some matcha green tea desserts and beverages. 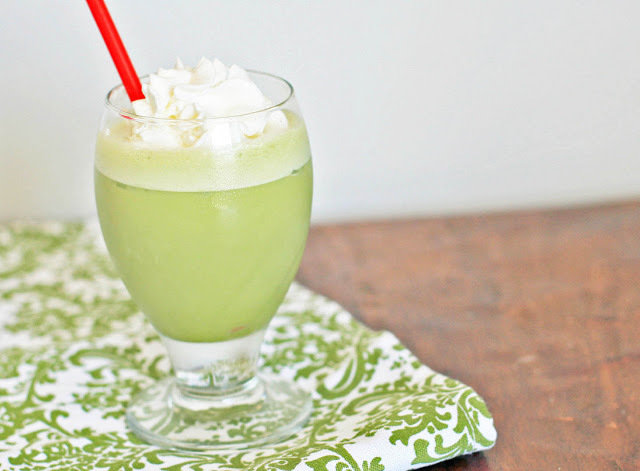 This iced version of a matcha green tea latte was so good I figured if you don’t want to beat ‘em, join ‘em. I’ve wanted to try matcha for a long time but never saw it reasonably priced in any grocery stores. When I saw a packet for under $5 I grabbed it and started experimenting. I thought it tasted best with a mix of water and milk. The water allowed the grassiness of the matcha to shine through while a bit of milk helped add creaminess. Heat the water and milk in a saucepan over low heat until warmed very slightly (this helps dissolve the matcha powder). Add the matcha powder and stir until dissolved. Combine in a blender with ice and pulse until the ice is partially crushed. Pour into individual glasses and top with whipped cream, if desired.